Complete the ‘Buy Order’ process with the cards you’re looking to sell to us. Once you’ve completed the form it will send us an e-mail with your intent to sell. We will reply within one business day to approve or decline your order. If we approve the purchase, we will send you a confirmation e-mail. 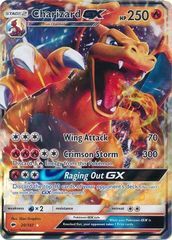 MP= "Moderate Play" (Cards in Moderate Play condition show heavy wear, and sleeves would be required to play this card in a tournament. Moderate Play cards include cards that have shuffling creasing, minor creasing, folding, minor water damage, minor whitening, major border wear. Please make an effort to grade your cards! If you have made an obvious effort to grade your cards, chances are we will not deduct further even if a few cards are graded slightly worse than indicated. If you make no effort to grade, expect us to be strict in our deductions! We currently are not buying any foreign language cards. Be sure to include your print out of your confirmation e-mail. Failure to provide this will result in a 1% penalty to your total! Make sure that the order of the cards on your list matches the physical order of the cards shipped to us. If you do not have your cards in any order, or if the non-bulk cards have multiple problems, you will incur a 10% penalty to your ENTIRE order! This is very important! It is much easier to compare your list to a matching stack of cards than to have to put them in order after they have been shipped! Make sure your cards are packaged securely. We cannot be responsible for any items damaged in transit to our store. Some examples of secure packaging include sending cards in plastic card cases, and one-to-five row long boxes designed to hold trading cards. Do not put cards in plastic zip lock bags or rubber band them - these methods will result in damage to your cards! A good rule of thumb is that your cards should have no room to shift around during transit. Use newspaper or packing chips to tighten packaging. Collections that arrive in a state of complete disarray will incur penalties of up to 50% or may be refused outright. If we refuse to purchase your collection because this rule was not followed, you will be responsible for all shipping costs associated with returning your collection. Your sell order must total at least $10.00. If your sale totals less than $10.00, we will ask you to add cards to your order until you reach $10.00. Please do not individually sleeve cards that are under $10 in value. We need to desleeve cards to grade them, and the more cards we have to desleeve, the longer it will take to process your buy. We encourage you to use a trackable method (UPS or FedEx) to ship your package. You are allowed to ship to us via the post office (USPS), but please keep in mind that standard USPS shipping options cannot be tracked. You are responsible for all of the initial shipping costs of items you are selling/trading to us, including any postage due or custom fees that we may incur upon receipt of your package. Once we receive your cards, we will review your package to make sure all the cards are accounted for, and they are in the condition described. If your cards were misgraded, we will send you an e-mail with an adjusted total for the buy. We will never process a buy with an adjusted total due to grading without first contacting you to make sure that the adjusted total is acceptable! Please ship your cards within two business days of receiving approval for your buy. You do not need to get us the cards within two days, but the postmark on the package must reflect that the cards were shipped within two business days of your confirmation e-mail. We reserve the right to refuse any buy, at any time, for any reason. If your cards need to be returned (usually due to issues with grading/card condition), you are responsible for the cost of shipping to have the cards returned.